Yunhee J., a current participant from India, recently took a few minutes to tell us about her enriching experience as an intern with Connect4Education in Herndon, Virginia. Image courtesy of Yunhee J. My name is Yunhee Ji. I am a South Korean, and was born and grew up in New Delhi, India. I am currently working as a graphic designer intern at a company called ‘Connect4Education’. I am currently enrolled in the 6 months internship program. How did you find your internship program? I found my program while researching on the internet. I was looking for programs where I could gain internship experience before graduating out of college. InterExchange seemed to be the perfect option for me! What were the professional goals you wanted to achieve through this program? Through this program I wanted to gain not only an experience in the field where I would like to pursue, but also wanted to get a feel of what graphic design really is. As a student currently pursuing a major in graphic design, I felt like I was not exposed to what design really is. Getting a work experience seemed like a good option for me to get to know what design really is, and if I am ready to really pursue it as a career. Other than this, through the internship program and working with other colleagues, I wanted to improve my communication skills and my leadership skills. My training program involves design related skills as well as others such as leadership, communication and multitasking, all which are vital for me to learn to pursue my career as a designer. Currently I help build design layouts for online courses; the general look and feel, the logo, color scheme etc. At the end of each week I have team meetings where I present my ideas and get feedback from all my colleagues. In addition to the professional experience, what have you enjoyed most about working with your employer? My current employer is very unique. I really appreciate all that she has done for me so far. She’s like my mentor at the office. She guides me as to how I should carry about a task and helps me learn more about not only design, but about other general things one would overcome when they work. She really provided me an environment where I could learn more, treated me like an equal and really respected my work and me. I feel like this is one thing that not a lot of interns experience during their internship programs. There are some internships that make you run coffee errands or other unnecessary things. But working here, I actually felt like I learned something. My employer was very professional with me. She provided me with a lot of feedback and guidance in times of need, which helped me overcome hardships that I experienced. Describe two or three successes you’ve achieved during your program so far. While working at this company, I have so far completed 2 big projects. These will be launched in the coming year. Before I started the program, there were a few goals that I had set in my mind. My first goal was to learn a new program. My second goal was to develop the ability to think fast in a short period of time. Thinking fast and coming up with several ideas would help me grow as a designer. But for this I would have to see new things and experience more to think out of the box. I feel like these two goals have been achieved and am grateful for the company in helping me achieve these two goals. What are some of the skills that you’ve been able to develop? How might you apply these skills in your profession when you return to your home country? One of the biggest successes I have achieved so far is that my communication skills have developed a lot. As a designer, I think it is very critical for one to express his/her thoughts to others and it is vital that they have the skill to communicate this thought with others. During this program, my ability to explain and communicate my chain of thought with others has developed immensely. I am more comfortable with expressing myself to others. I also feel that my leadership skills have developed immensely. While developing a project, I had to have several meetings with colleagues of different departments. While having these meetings, there were some areas where I had to take lead with regards to design and the overall look and feel. In addition to this, I am more organized at planning things out- for example, keeping a timeline for a project and managing my time better to complete a task. Having good communication and leadership skills will make me grow as a designer. For example, it will help me greatly when I meet clients, or when I make presentations, or if I work in an organization. Share examples of how you’ve learned more about U.S. culture and how you’ve shared your culture with others. I have visited a few cities on the east coast. For example I went to Boston a few weeks ago and visited many of the historical sites, museums, parks, markets etc. I also attended a few festivals that took place near where I am currently staying right now. I have also tried out different cuisines at various places. I feel like by talking to my colleagues I learn a lot about U.S. culture. I find it very fascinating to know how different my culture is from theirs. I have tried to share my culture through the most approachable way possible—food. I cooked a couple of dishes for Korean thanksgiving and shared it with my colleagues. Sometimes we would go out for dinner at a Korean restaurant and go to karaoke after that. What would you tell a friend from home about doing an internship through InterExchange? First of all, I feel like InterExchange provides a “real” internship experience. The program provides you with internships where you actually learn something and don't waste your time. I would highly recommend this program to my friends who are serious about gaining internship experience before graduating from college. Also gaining an internship experience is the U.S. is something that I am very persistent about. The U.S. is a country that has many opportunities for so many different kinds of people, where you actually learn something. Because it consists of so many different cultures, it really broadens your perspective and your thought process. 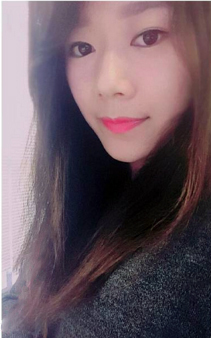 Want to advance your career with an international internship in the U.S. like Yunhee? Learn more about our program and start an application! Liz got the travel bug as a teenager when she volunteered in Mexico. After extensive travel, interning and studying abroad, she is excited to help others fulfill their dreams of experiencing another culture through InterExchange’s Career Training USA program.